“Food is a critical piece of restoring hope for our guests,” said John Heron, CEO at Coalition for the Homeless of Central Florida. As one of Second Harvest Food Bank of Central Florida’s feeding partners, the Coalition prepares and serves meals to 500 residents daily, as well as dinner for an additional 90 members of the community every evening. 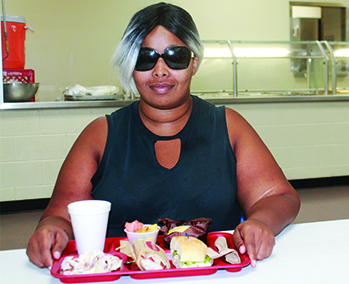 Many of the meals served include food from the Second Helpings program, which collects prepared food donations from local restaurants, hotels and resorts and delivers it to feeding partners who operate meal programs for their clients. Inspired to help more of our neighbors in need like Shelly? Find ways to help!